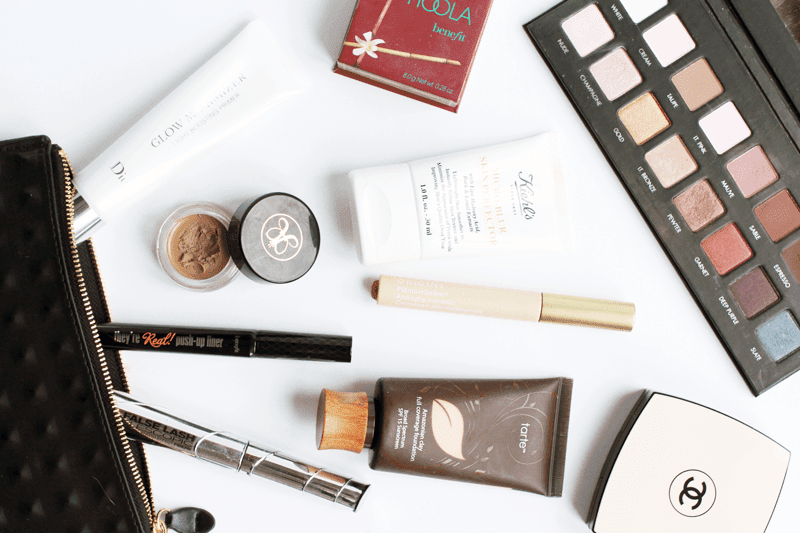 In my 2+ years of blogging, I don’t think I’ve ever done a ‘what’s in my makeup bag?’ post. Weird, huh? I thought I’d break this habit and write one up, as I’ve been using the above quite a lot over the past few weeks. For base, I’ve been using the Suzie recommended mix of Dior Glow Maximiser Light Boosting Primer with Tarte Amazonian Clay Full Coverage Foundation over the top. They make for such a wonderful combo and really add some life to your skin! I’ve also been using a touch of the Kiehl’s Micro Blur Skin Perfector around my nose and cheeks to really blur out my pores, as that area hasn’t been so great recently. For concealer, the Origins Plantscription Concealer has been doing the honours, as it works well over my Bobbi Brown Corrector for reducing the appearance of dark circles. Occasionally, on my cheeks, I’ve been forgetting about blush and just opting for a bit of bronzing and contouring instead. For this, I’ve been applying some Benefit Hoola, as it’s great for pale skin. On my eyes, I’ve been addicted to my Lorac Pro Palette and I wish it was more readily available in the UK! It’s honestly amazing and ‘pewter’ has to be my most used shade. Although I gave it a medicore review initially, I’ve been getting to grips with the Benefit They’re Real Push Up Liner again recently and am liking it more now. It really does stay black and in place all day, though I still think it’s quite dry. I use a quick coating of L’Oreal False Lash Telescopic to complete my eye look, as it’s my favourite drugstore mascara. Finally, I finish everything off my filling in my brows with Anastasia Dip Brow Pomade and dust over a bit of Chanel Les Beiges Healthy Glow Sheer Powder, which is my most used powder at the moment! 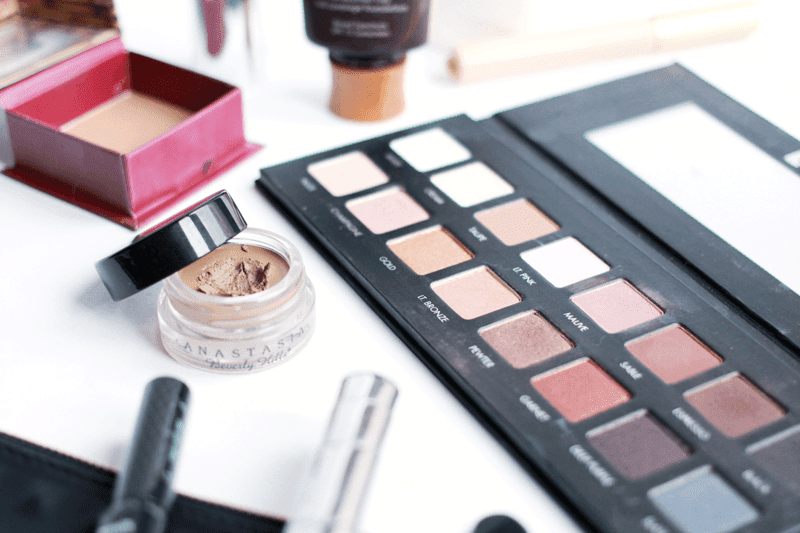 Are any of these in your makeup bag? Let me know!